Make this Crock Pot Chicken recipe and then make Bone Broth. I rubbed the inside of my crock pot with coconut oil. I patted the chicken dry and put it into the crock pot, along with the liver and gizzard. Next, I sprinkled the top of the chicken with all the same spices that I’d just used in the bottom of the crock pot, in the same amounts. I didn’t measure, but you can see from the photo that I used a LOT. I added 1 TBSP of water. That’s it. I put the lid on and cooked it on low all day, more than 8 hours. 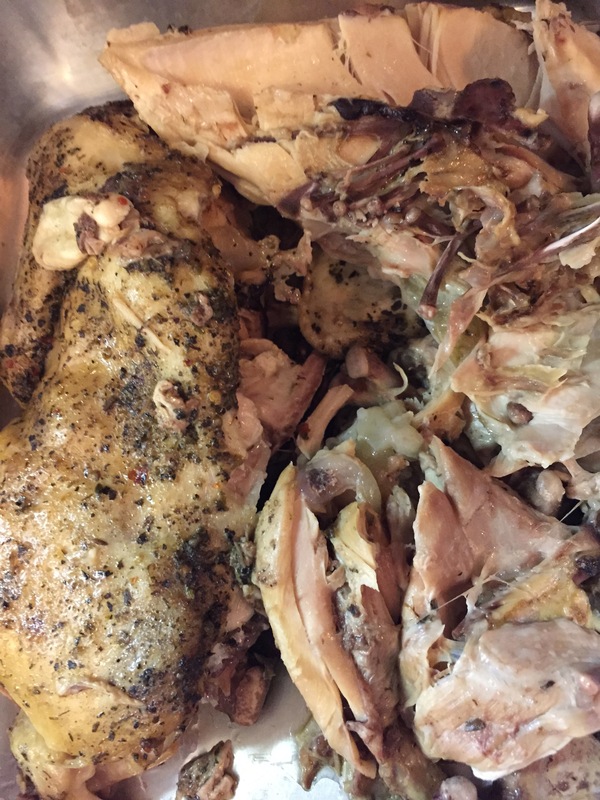 I took the chicken out of the crock pot and picked all the meat off the bones. I turned the crock pot on for 10 hours on low. The next morning I re-set the crock pot for another 8-10 hours on low so that the bone broth was ready to be strained and put into containers after work. HOW EASY! It’s a great way to be strong and really get your money’s worth out of an organic chicken! 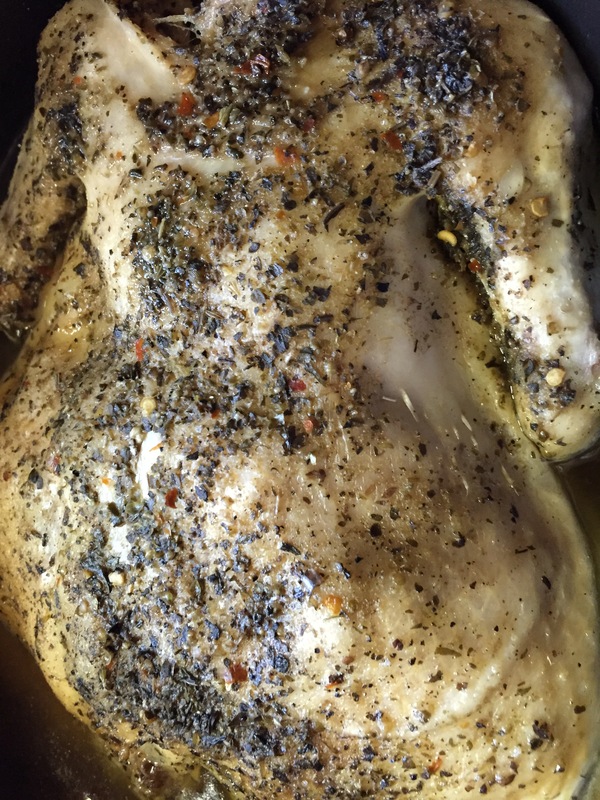 This Paleo Rotisserie Chicken recipe uses a Crock Pot and Pizza herbs.